Dongan manufactures high quality transformers, reactors, magneticsand, and other power quality equipment. Their transformer line consists of energy efficient designs in single or three phase, step up or step down, isolation, 3 phase autotransformers, and toroidal transformers with ranges up to 600 volts. Dongan also manufactures specialty transformers with designs such as industrial control, drive isolation transformers, K-Factor transformers, lighting disconnects, and ignition transformers. Control Components would be glad to answer any questions or assist you in finding the right Dongan parts for your application. 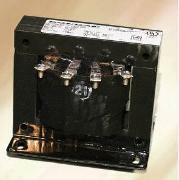 Control Components is an authorized Dongan Transformer distributor.